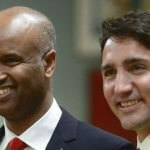 To be able to work in Canada, all foreign citizens must have a work permit. Work permits are a combination of a visa and a permit, which are issued at the same time. There are many types of work permits, but a commonly requested one is an Open Work Permit. This article will go through what the Open Work Permit is and its details. What is an Open Work Permit Canada? An Open Work Permit otherwise known as an International Mobility Program for Canada is a type of work permit that is not specific to a certain job. All other work permits are issued for the holder to work for one employer, but the Open Work Permit allows you to change employers as long as the permit is valid. 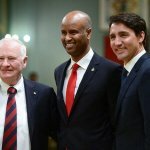 If you are applying as a Temporary Foreign Worker, then this permit will allow you to work in Canada for 6 months or less. 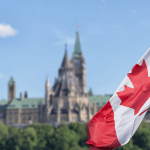 During this time, you can change employers as long as they are accepted by the Canadian Government and are not involved with activities not accepted by the Government. What are the types of Open Work Permits? The decision on what type of open work permit to issue you is up to the officer at the Canadian Consulate based on the documents that you submit when you apply. What are the requirements for the Canada Open Work Permit? A temporary resident permit holder. An international student who has graduated from a Canadian education institution and is eligible for a Post-Graduation Work Permit. A student who cannot afford the cost of their studies. A person who has applied for permanent residence in Canada. A family member of a person who has applied for permanent residence in Canada. A spouse or common-law partner of an international student or skilled worker. A refugee, protected person, refugee claimant, or a family member. A young worker in special programs. How to apply for an Open Work Permit? You must have a job offer from a Canadian employer in order to qualify for a work permit application. Because of this, you have to start early and apply to different companies. You can apply through different online resources or sign up for any headhunting services which for a small fee will find you a job. Once you have the job and get the open work permit, you will have the chance to switch employers, but in order to be able to send an Open Work Permit application, you will need the job. Create an account or submit a paper application – you have the option of applying online through the Government of Canada website using your credentials or your bank account information. Otherwise, you can apply by sending in your documents as hard copies. Complete the medical examination – It is best if you go through the medical exam to prove that you are in good health. You can do so at any licensed doctor which can sign the documents for you after you go through the necessary tests. If you do not have a medical exam, you will not be allowed to work in child care, primary or secondary school teaching, health service occupations, or agricultural occupations. In order not to limit your choices of jobs, it is recommended to complete the medical exams. Attend the visa interview – The officials of the Canadian Consulate might want to interview you to determine that you will return to your home country once your open work permit expires and that you have been truthful in your application. You must attend the interview at the appointed time and answer any questions that they ask you. They might also ask for you to give your biometric information after the interview, which you must do. When you submit the application, documents, medical examination records, and complete the interview, you will then wait for processing. The Open Work Permit Canada processing time can be from 3 to 27 weeks depending on your country of citizenship. After this time passes, you will get a decision from the Canadian Consulate. If your Open Work Permit is approved by the Consulate, you can make travel and accommodation arrangements in Canada. When you land in Canada, the Port of Entry (PoE) officers will stop you for checking. They will check your documents and ask questions about your purpose of visit and how long you will be in Canada. Give them all your documents and answer all the questions since they have the authority to not let you into the country if they suspect you are not being truthful. What are the Open Work Permit Fees? The Open Work Permit is slightly more expensive than an employer specific work permit. You will have to pay an initial work permit application fee of CAD$155 and an Open Work Permit fee of CAD$100. In total this type of work permit will cost CAD$255. 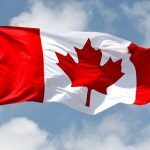 Can I bring my dependents to Canada with an Open Work Permit? You are allowed to bring your spouse or common law partner and minor children with you to Canada when you go to work there on an open permit. You must include their documents in your application so as to be evaluated as a family. After your arrival in Canada, your spouse or common law partner can also apply as an Open Work Permit Canada spouse if they meet the eligibility criteria.